A custom-designed and built home in the beautiful “Canyons at High Desert” required a landscape to match. Mixed use planned community offers impressive entry features, community gathering points, and a contemporary landscape. The Hilltop was subcontracted to help renovate historic Roosevelt Park for Albuquerque’s Tricentennial Celebration. The client received a substantial xeriscape rebate from the City of Albuquerque Water Authority. Creating a great landscape starts with a simple concept— listening to the client and analyzing the site. 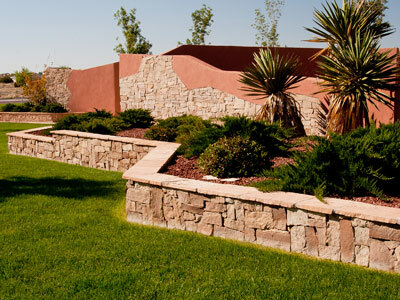 At The Hilltop, we’ve been making the outdoors great since 1970; we’re New Mexico’s oldest and largest design-build landscaping firm. From intimate backyard living spaces to multi-acre commercial and recreational properties, we do everything possible to give everyone a great outdoors experience in their own backyard. Save water and money with Xeriscape Rebates! ABCWUA rebates help you save water and money. Let The Hilltop show you how! 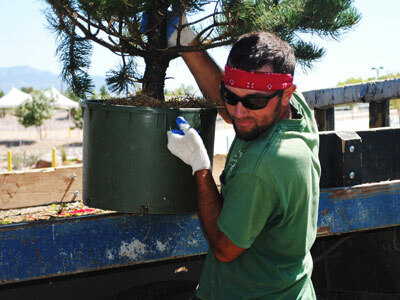 Search our growing listing of searchable, sortable plants and trees that work well in New Mexico landscaping. Includes photos and descriptions of plants and trees to help you select the perfect plants for your landscape. 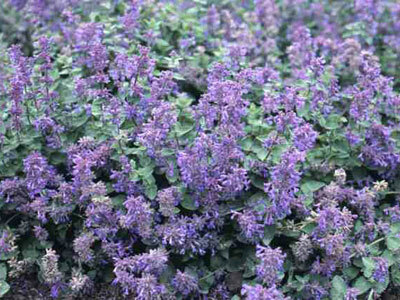 Specific plants may not always available.